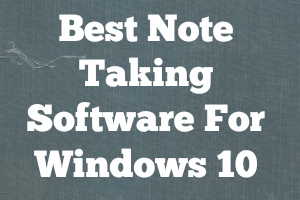 HomePosts Tagged "notes taking software"
This blog-post talks about 5 best note taking software for Windows 10. You can create unlimited notes, add audio/video recordings, tags, and even web clips. Fetchnotes is a free note taking utility which acts as a cloud-based notepad making the process of taking notes much easier. Try it Free. 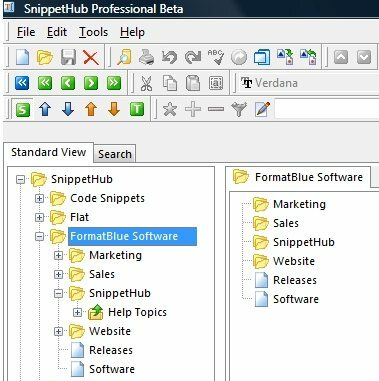 SnippetHub is a Free Notes Organizer to organize all your notes in a folder format. SnippetHub also lets you organize code snippets. Download SnippetHub free. 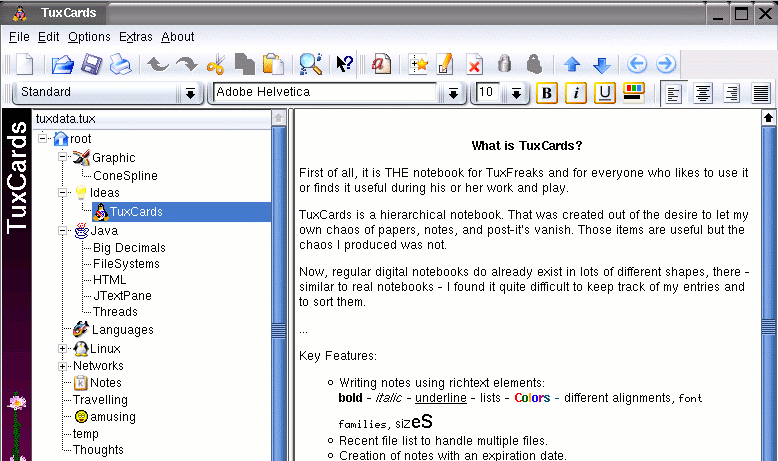 TuxCards is a free software to manage notes and organize ideas. TuxCards organizes your notes in a tree structure. Download TuxCards Free. 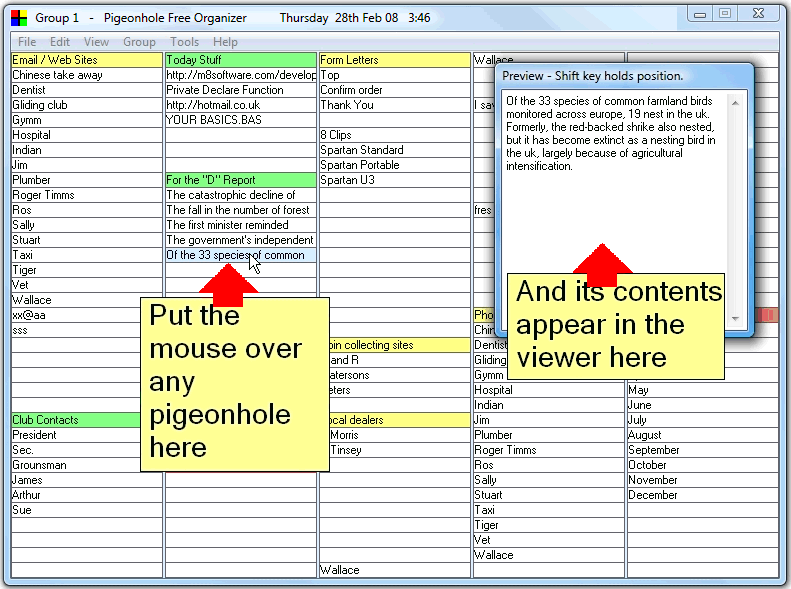 PigeonHole is a free notes organizing software that lets you quickly organize small notes. It is like a big excel, but much easier to use. Download PigeonHole Free. 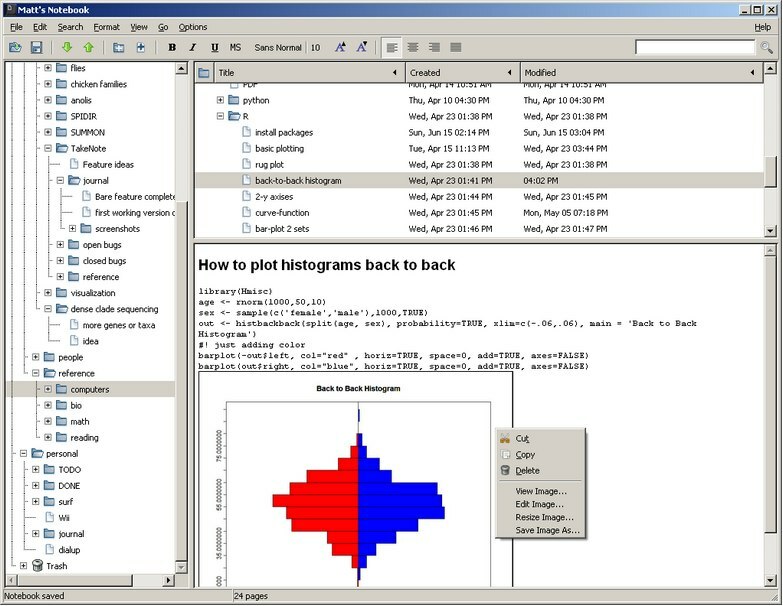 KeepNote is a free notes taking software that lets you organize your notes in tree structure. Download KeepNote free notes taking software. QuickFox Notes is a free plugin for firefox that lets you take notes from within Firefox. 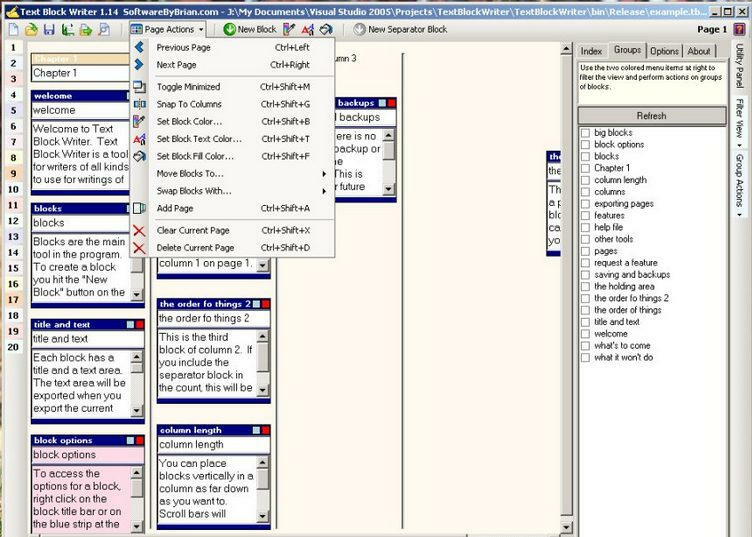 You can easily synchronize notes across multiple computers. List.It is a free Firefox plugin that keeps your notes synced across multiple computers. It is easy to use notes taking application, and completely free. 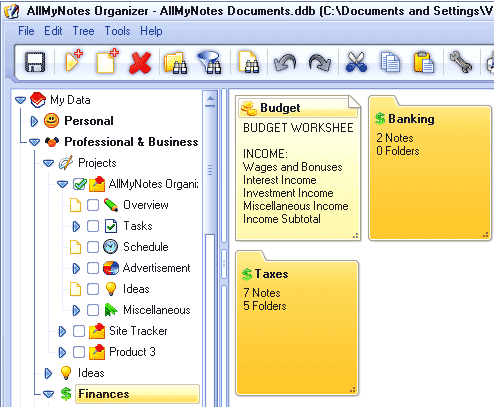 MyWeekly is a free notes keeping software. It organizes your notes well, and is extremely easy to use. Download Free Here. CintaNotes is a free personal notes taking software. It can quickly grab text from clipboard, or you can write your own text. Download Free Here.